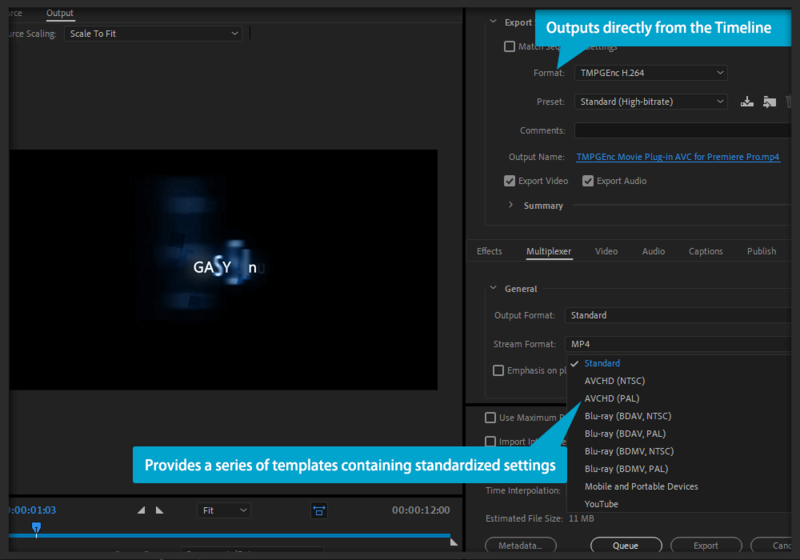 TMPGEnc Movie Plug-in AVC for Premiere Pro - Export Premiere Pro projects using the TMPGEnc H.264 encoder. 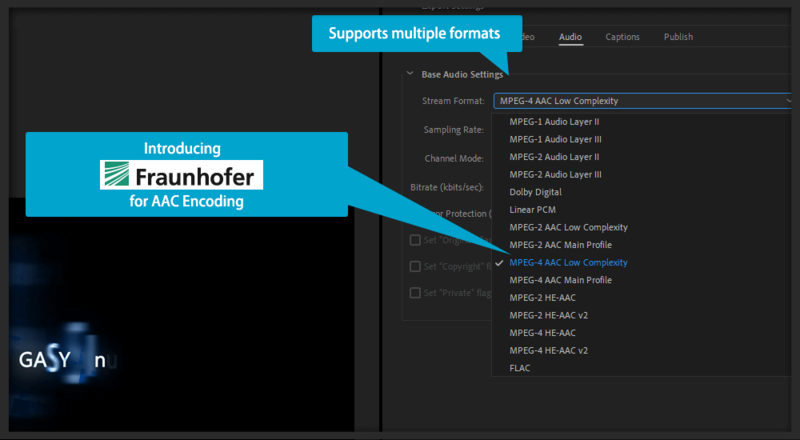 Add Powerful TMPGEnc H.264 Encoding to Your Workflow. TMPGEnc Movie Plug-in AVC for Premiere Pro brings Pegasys Inc.'s H.264/MPEG-4 AVC ("H.264/AVC") export function to Adobe® Premiere® Pro CC. This plug-in uses the x264 engine for the main encoder, which provides high quality and high-speed export by combining Pegasys proprietary technology with the x264's high quality functions and numerous detailed parameters. Hardware encoding can also be utilized on systems with Sandy Bridge or later Intel® Core processors with Intel Media SDK (Quick Sync Video). 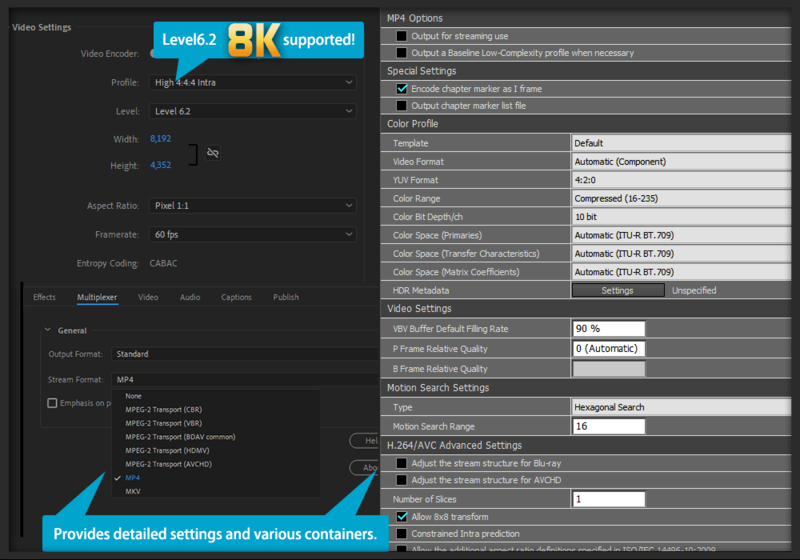 Encode in ultra HD 4K resolution (4096 × 2304) with support for the Level 5.2 profile and level setting. 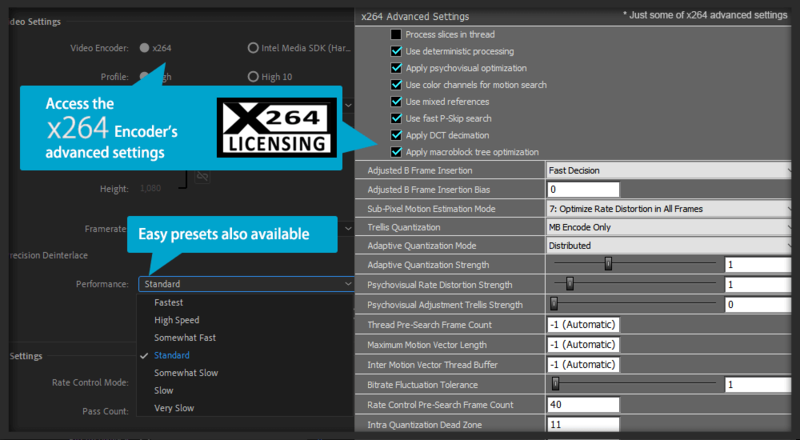 Want to customize your H.264/AVC encode even more? 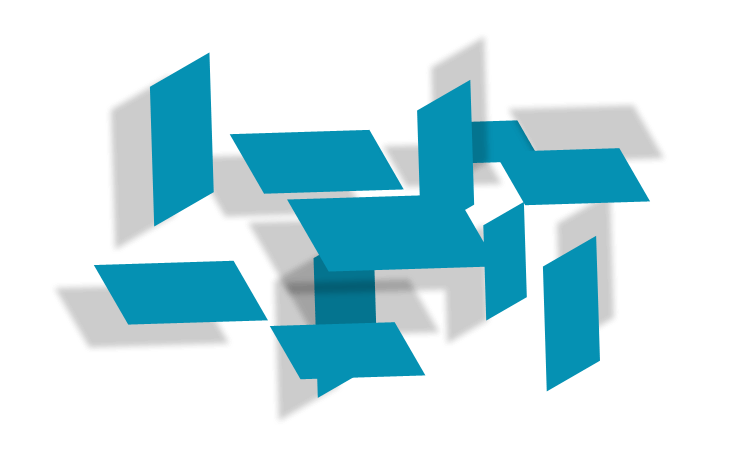 Change settings for the GOP structure, quantization matrix, color space and more! High-Speed Intel® Media SDK (QSV) Hardware Encoding. Take advantage of hardware H.264/AVC encoding if your computer is equipped with second generation Intel® Core™ processors with Intel Media SDK (Quick Sync Video). Download the free 14-day trial and test out the software for yourself! Virtual environments are not supported. If using a notebook PC, please make sure it is cooled efficiently. Operating System Same as Adobe Premiere Pro CC (Windows) requirements. CPU Same as Adobe Premiere Pro CC (Windows) requirements. RAM Same as Adobe Premiere Pro CC (Windows) requirements. Hard disk drive About 100 MB + space for data. 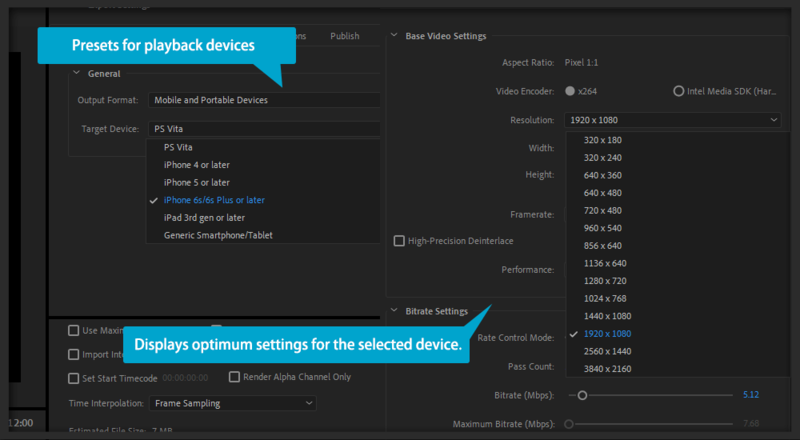 Display Same as Adobe Premiere Pro CC (Windows) requirements. Intel Media SDK hardware encoding feature requires a Sandy Bridge or later Intel Core processor with Quick Sync Video functionality. Please refer to the instruction manual of your PC, Adobe Premiere Pro CC, other editing software, encoding software, and capture equipment. Product specifications may be subject to change without notice in the future. Do not violate copyright law. The specifications of the product are subject to change without notice. TMPGEnc and the TE symbol are registered trademarks of Pegasys Inc.
Microsoft, Windows are registered trademarks of Microsoft Corporation for the United States of America and other countries. Copyright 1993-2005 Dolby Labororatories. All rights reserved. H.264/MPEG-4 AVC output uses the x264 LLC encoding engine. Mersenne Twister - Copyrightc 1997 - 2002, Makoto Matsumoto and Takuji Nishimura, All rights reserved.